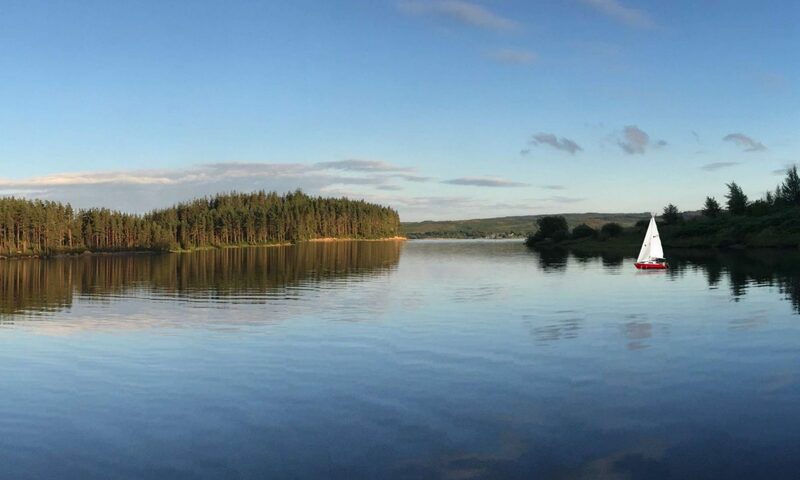 Kielder Yacht Club is a family friendly sailing club in the heart of Northumberland located on the banks of stunning Kielder Water, the largest man-made reservoir in the UK. Kielder Yacht Club is based on the shores of Kielder Water in Northumberland surrounded by the quiet tranquillity of Kielder Forest, one of the few remaining Dark Sky locations in the UK and one that can boast its own public Observatory. The policy of the club is to encourage both cruising and sailing events, as well as organising a full social programme – but most club members simply like to get away from it all and relax. The clubhouse has toilets, showers, accessible toilet, a fully equipped galley, and members room able to accommodate over 50 members. The grounds include the members’ car park, concrete launching slip and jetty. The yachts are kept on deep water swinging moorings and members can use either their own dinghy or one of the club tenders to board them.